The NFL season continues to barrel on and fantasy owners are once again in a tough spot with six teams on a bye. We’re here to dive into some sleeper WRs for Week 9. The fantasy football playoffs are a lot closer than some might realize as most leagues start in Week 13. That only gives owners four more weeks to get into their postseason and we’re here the get you through the bye week. A quick PSA since this is a wide receiver article: If you’re asking if you should drop Player X for Josh Gordon, the answer is NO. Gordon has a long way to fantasy relevance and he last played in 2014. The last time he was any good? 2013. Don’t fall on that grenade. Before we go any further, let’s look at how last week went(spoiler: very poorly). This past week was super tilting because multiple receivers listed dropped passes and had plays called back on penalties that could have swung the results. That’s not an excuse because those plays don’t put points in your box score. Even the best process can lead to bad results sometimes. It’s always important to not let that interfere with your next matchup. With that in mind, let’s get to work and have a better week! 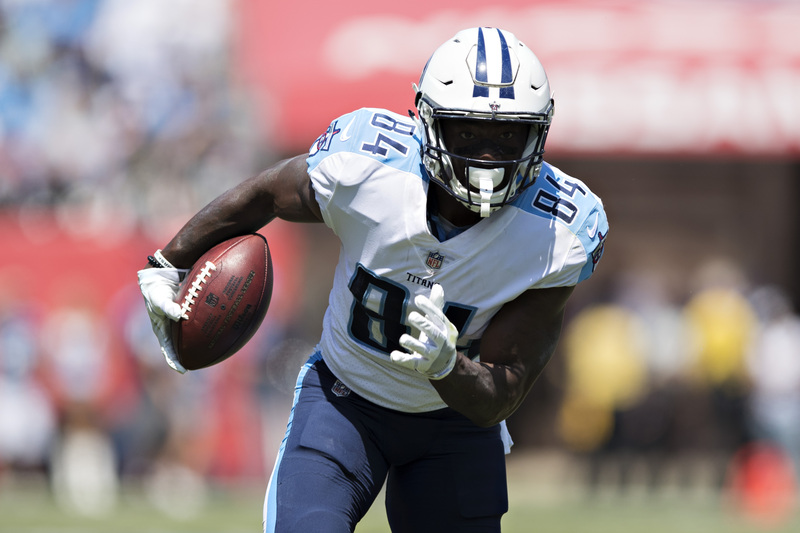 The rookie receiver will make his long-awaited return to the Titans lineup this week and Tennessee’s offense sure could use him. Their offense has been a major disappointment this season and actually led me to suggest fantasy players sit QB Marcus Mariota this week. Turning around to say Davis could be a sleeper would seem to fly in the face of the Mariota advice, but there’s a good reason to play Davis. Even though Baltimore has an excellent pass defense, they are on the road. Defenses tend to play better at home. In addition, the presence of Davis will be hard to prepare for. He’s had very limited tape and even if the Titans decide to take it easy with him, it’s likely he’ll see a good chunk of third down and red-zone work. We’re only looking for 50 yards and/or a TD from our sleeper wideouts. Regardless of what type of game Mariota has, Davis is very capable of hitting those benchmarks with a chance of exceeding them.